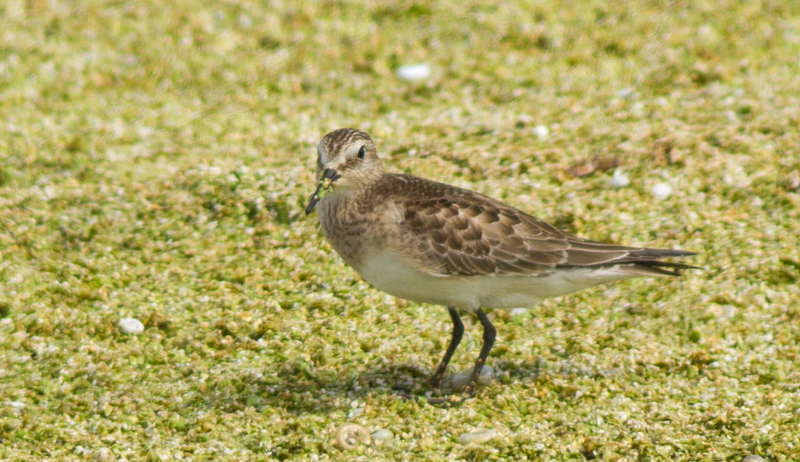 Two days ago, one of my friends found a Baird's Sandpiper at Orlando Wetlands Park, and several of us saw it yesterday (and it's still being seen today). I drove out to it during my lunch break and came back to the office all excited. 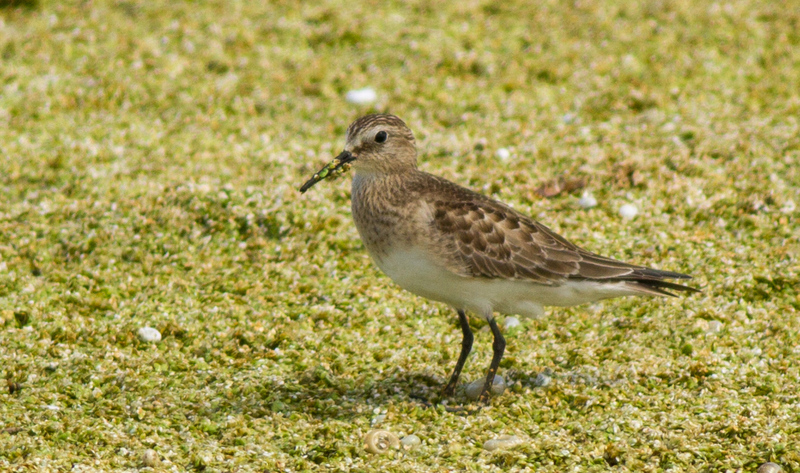 Of course, my friends at work thought I was nerding out over a bird that "looks just like any other sandpiper." The bird was on Wetlands Blvd between Limpkin and Bobcat Rds. 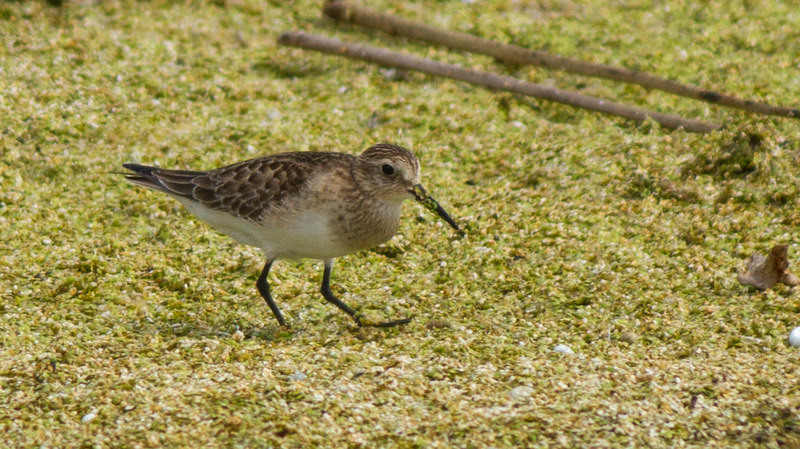 It was very kind to us because it was hanging out with both a Pectoral Sandpiper and a Least Sandpiper, so we could compare sizes. It's a beautiful bird. 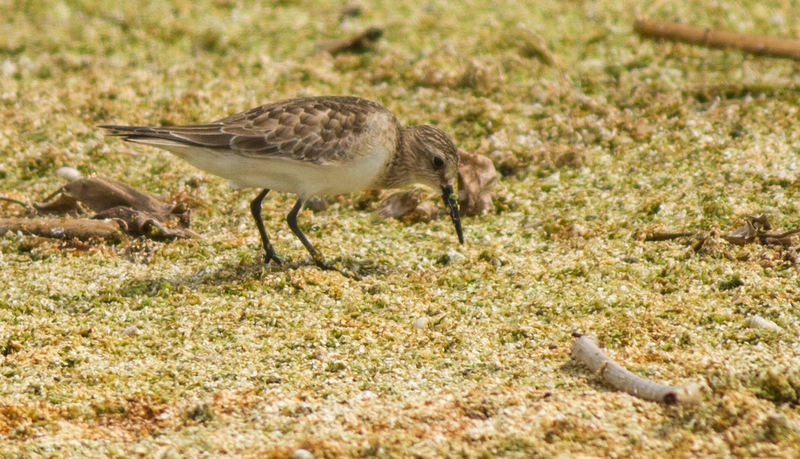 There were only a few other shorebirds there: about 12 Least Sandpipers, 1 Pectoral, 1 Semipalmated, 4 Limpkin and 6 Lesser Yellowlegs.